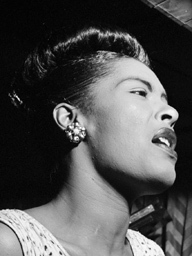 2 No regrets 1936-Jul-10 MT 19536-1 Vocalion 3276 2'38"
5 A fine romance 1936-Sep-29 MT 19971-1 Vocalion 3333 2'53"
6 I can't pretend 1936-Sep-29 MT 19972-1 Vocalion 3333 / MusiF 30CV1266 3'06"
7 One, two, button your shoe 1936-Sep-29 MT 19973-1 Vocalion 3334 2'51"
9 Easy to love 1936-Oct-21 MT B20105-1 Brunswick 7762 3'13"
10 With thee I swing 1936-Oct-21 MT B20106-2 Brunswick 7768 3'18"
11 The way you look tonight 1936-Oct-21 AT B20107-1 Brunswick 7762 3'09"
12 The way you look tonight 1936-Oct-21 MT B20107-2 Brunswick 7762 3'02"
13 Who loves you? 1936-Oct-28 MT B20142-1 Brunswick 7768 3'15"
15 That's life I guess 1936-Nov-19 MT B20291-1 Brunswick 7789 3'10"
16 I can't give you anything but love (baby) 1936-Nov-19 MT B20293-1 Brunswick 7781 3'28"
17 One never knows - does one? 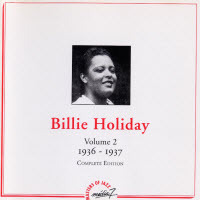 1937-Jan-12 MT 20506-1 Vocalion 3431 3'04"
18 I've got my love to keep me warm 1937-Jan-12 AT 20507-1 Columbia CL2426 (album C3L40) 2'57"
20 If my heart could only talk 1937-Jan-12 MT 20508-1 Vocalion 3440 3'05"
21 Please keep me in your dreams 1937-Jan-12 MT 20509-2 Vocalion 3440 2'18"